Usually, when talking about future projects in the city, I mention new condos and office towers in our economic boom. In this edition, I want to showcase the future greenspaces and public spaces the city will be getting in the near future. 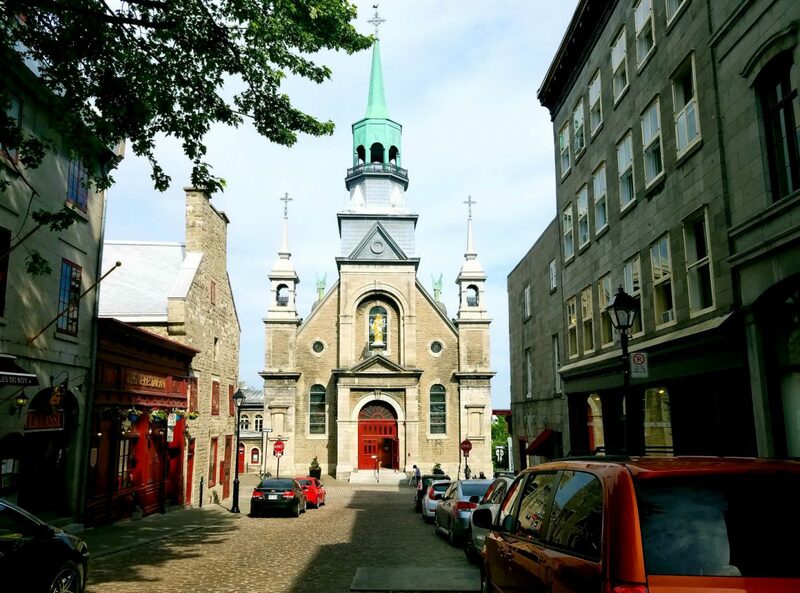 What I love about Montreal is how compared to other cities in North America, the city focuses on green spaces and public spaces. This is important because it increases the quality of life, it makes you feel more bonded and connected to the neighbourhood and it gives an opportunity for people bonding, a place where memories and fun times can be made. The downtown area has lost some green space, such as Jardin Domtar (a privately owned park) to developers and St. Patricks Basillica’s small park sold to build a new university. While this upset many people, they should realise that there are five pus parks in development and a few public spaces. At the same time this happened, the city added new parks such as parc Bonaventure and covering a portion of the Ville Marie highway with a green-space as well. We’ll examine the future parks and public spaces that Montreal will be developing, some announced years ago or a few months ago. This update won’t cover renovations of existing parks and will only focus on ones under construction now or future parks that are planned. 1. Griffintown, three new parks. Right off the bat, we can see that this part of downtown is adding three new parks. Two large ones and one medium-sized one. 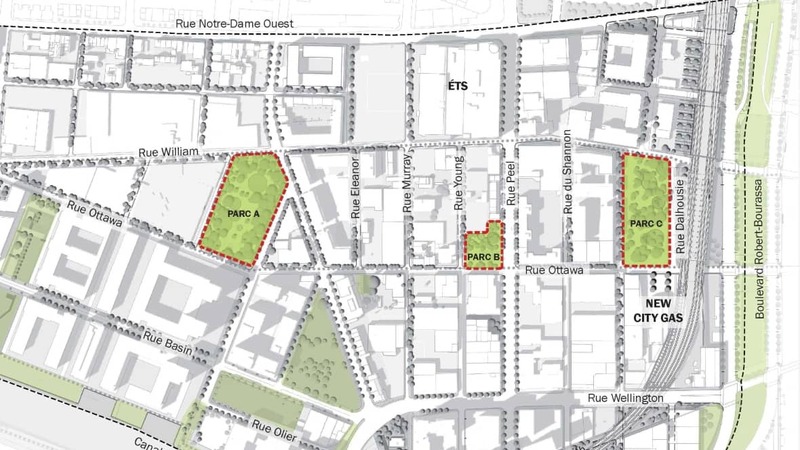 Park C shown on the right has been talked about since the Coderre administration, but under Plante, we see how she has pushed for the development of this green space and the other parks. It also makes sense to add all these parks, given the population growth between 2011-2016 was 642% and the area continues to add hundreds, if not thousands per year. Construction has started on park c (Mary-Griffin park). This beautiful park/public square was also announced under the Coderre administration and should finish at the end of this year. This place will be a place for creativity, bonding and entertainment and shows the city’s vision for placemaking. In addition to having a place that’ll have concerts, art events, vegetation, food etc.. It’ll be transformed into an urban ice rink in the winter (somewhat like Rockefeller centre). Just like the rest of downtown, a few condo highrises have been built in this area, and making Clark street into a pedestrian-friendly area plus adding this park will add more life to the area. Not every day where you can brag that your city just added a 192-hectare (474 acres) park. This was one of the many successful legacy projects for Montreal’s 375th anniversary in 2017. The park was once a landfill in St. Michel but now is in the process of being turned into one of the largest parks in the city (Mont-Royal park is nearly 700 acres). The project should be done by 2023 and will bring another large and amazing park to the city. A project delayed multiple times will finally see daylight this year. 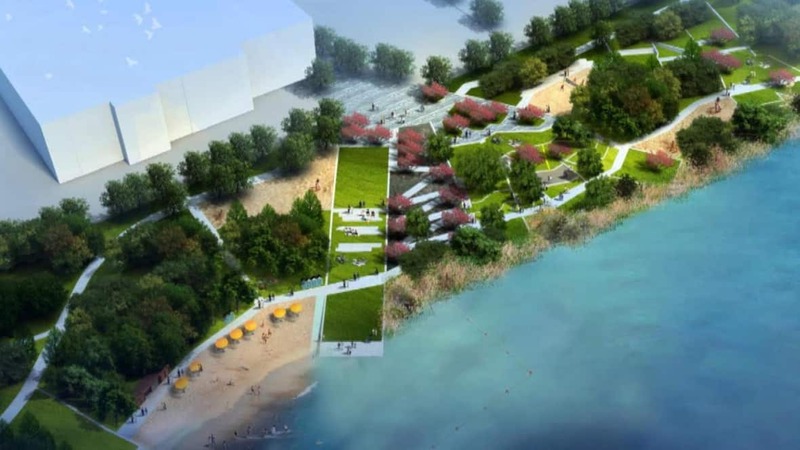 This will be Montreal’s first beach with many more planned, as the city wants to bring the waterfront back to the people. I cannot wait for this park to open after years of talk and delays. Back downtown, we see the image above is from an urban plan for this section of downtown. This has essentially been ground zero for all the new development with thousands of units built and new office towers. Already in this area only, 100,000 people pass through daily and that figure is not counting all the future residents and workers. Quad Windsor alone will be adding 12,000 people (6,000 residents, 6,500 workers) and that’s not including the other projects, which will add at least another 5,000+ people to the area. Parc Ville Marie will be developed int he future, but once done will add 5-acres of park space. To wrap up, I only mentioned a few parks, public spaces and a beach. The main demonstration of this article is to show people that 1. The city is actually developing parks, I know some people are oblivious to the fact but this is true and 2. To show others elsewhere in the world that Montreal is a city to look to for inspiration on a great urban plan. In this article, we looked at six parks and a beach and that’s not including the multiple parks added, proposed or being discussed at the moment. We can see Montreal’s vision for a city that will accommodate all, better utilisation for public space and of course the city’s commitment to the environment as well. What are your thoughts? do you like what the city is doing? do you wish your city was also following our urban plan? what improvements do you think can be made? comment down below and add your opinions! Previous Downtown Montreal construction update: December 15th, 2018. Next Future Montreal Projects: Focusing on smaller scale projects.